We’ve traveled to a lot of places to install church pews, since we install custom church pews nationwide. 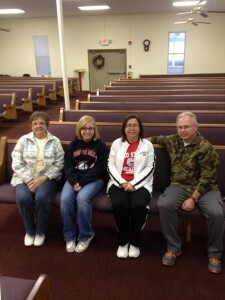 Most recently we went to Patriot, Ohio to the Gallia Baptist Church to install new church pews in their sanctuary. The best part of our job is knowing that we’re doing the Lord’s work to help spread the word by providing a seat for everyone in the Lord’s House. While that will always be our favorite part of our work, we always like hearing about how our church pews have helped churches grow. 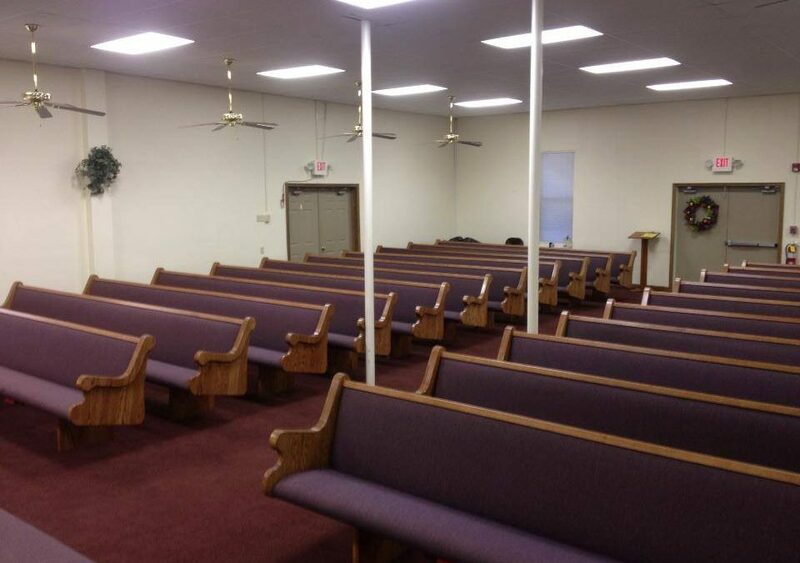 One member of the Gallia Baptist Church wrote to us to let us know just how thankful they are for their new pews. I just want to say thanks for an excellent job on our pew install. 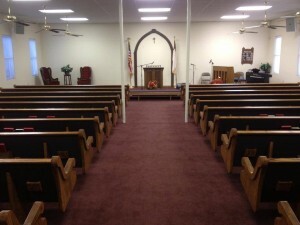 We were able to save thousands of dollars and get a better quality of pew by choosing Born Again Pews. It is hard to find a true American made product. The quality of our pews speaks of the quality of the owner who is witnessing for Christ while running an American business. I would say Rex is a good PEW COMMANDER, that’s a fact Jack. Told Rex that you did a good job representing Born Again Pews. While we love all the Duck Commander references, especially considering that we built a pew for the Robertsons, what we’re most proud of is that our church pews helped the Gallia Baptist Church save thousands of dollars on their new church furniture. Why? Because that means that the Gallia Baptist Church can move on to more important things. We care a lot about church seating—after all, it’s our calling in life and the way we witness for Christ everyday in our work. Church seating helps make a sanctuary but it’s certainly not what makes a church. What makes a church are the people and the things they do to help spread the Word. A church is best judged by how much it helps others find the Lord—not by the amount spent on church pews. The reality is that church seating is an unavoidable part of running a church. You need somewhere for people to sit comfortably — otherwise they won’t come to services. Without people at services and people to participate in missions, there is no church! The ability of a church to pay for seating shouldn’t have a hold over a church’s ability to help others to Christ. The reality of our path to God is that there are obstacles we have to overcome but church seating shouldn’t be one of them. Affordable church pews that are high quality are our priority in our business because we want to help remove the monetary obstacles your church faces to bring more people to Christ. As an open profession of our faith in God, we build affordable church pews. Why spend more money than needed on seating when it can be better spent elsewhere to bring people to God? 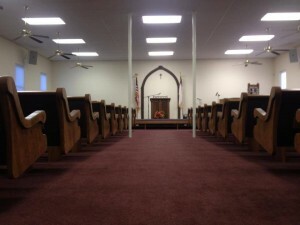 While church seating is necessary for church, it shouldn’t cost so much that a church can’t reach out to the community. 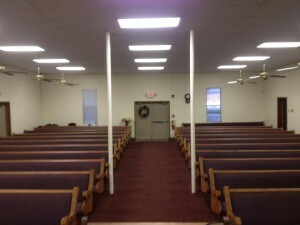 Thank you, Randy, for writing to us to tell us how much the Gallia Baptist Church likes the new church pews.